Day of Remembrance 2013 service at the Space Mirror, Kennedy Space Center (Credits: NASA). 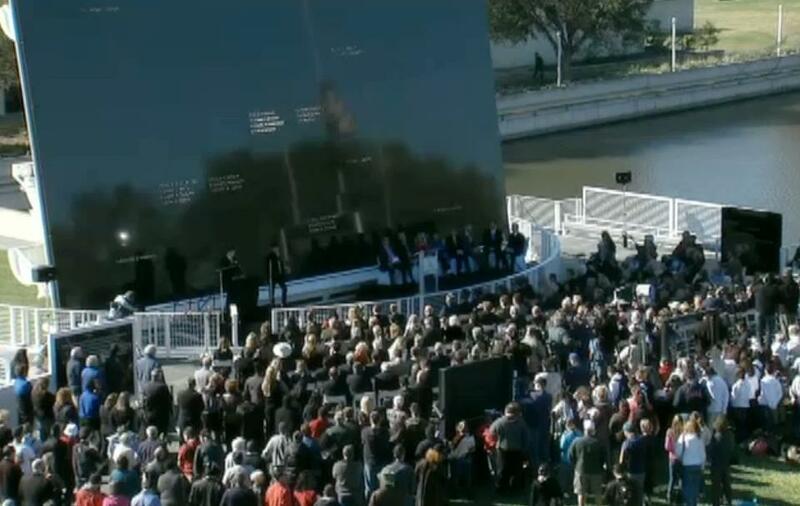 Below, the full memorial service at the Astronaut Memorial Foundation’s Space Mirror. The performance of Sixteen Minutes from Home begins at 27:47.